Thousands of businesses, service providers, and government entities rely on information from CARFAX to help them make better decisions. 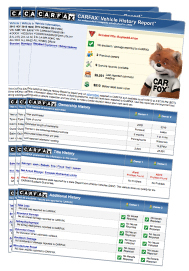 Are you getting the most out of your CARFAX subscription? Email bigcustomerservice@carfax.com or click here to learn more about the CARFAX data available and how it can help you.